Lubrication is required to reduce the frictional losses between metal to metal rubbing or sliding parts. When two or more metal parts rub on each other, it creates friction in motion. A proper quality lubricant is essential in engineering practice. The quality of lubrication is depending upon the quality of Lubricant. When any lubricant offered resistance to the deforming forces, it is called viscosity of the lubricant. Good quality lubrication oil must maintain sufficient viscosity at higher temperatures and it should not be too viscous at lower temperatures. For high speeds, low viscosity lubricants are suggested while for large clearance and high loads; high viscosity lubricants are recommended. The viscosity of oil increases, if the temperature of mating surfaces decreases. Flashpoint of oil is the minimum temperature at which it gives off enough vapor to form a momentary flash when the naked flame is brought near its surface, while the fire point is the lowest temperature of the lubrication oil, where it burns continuously. To avoid the possibility of fire, the flash point of oil must be higher than the temperatures likely to be developed on the rubbing surfaces. The fire point is generally higher than the flash point and the difference between the flash point and fire point must be 18-degree centigrade at higher side. It is the property of lubrication oil to spread and attach itself firmly to the lubricating surfaces. When mating surfaces are subjected to a high intensity of pressure, it is recommended to particularly high oiliness; so that the metal is protected by a layer of oil and the wear is reduced. 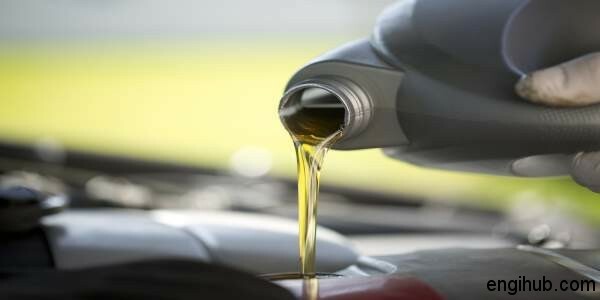 Lubrication oil losses a certain weight due to evaporation when it is subjected to high temperature for long hours. This loss is known as “loss by evaporation”. The consumption of oil is considerably increased with high volatility at normal working temperatures that is why low volatility is always suggested for lubricant. Stability of oil is to resist oxidation that would yield acids and sludge. Good lubrication oil must have high stability. Free carbon or hydrocarbons decomposing into carbon at high temperature is called as an insoluble residue. Good quality lubrication oil should not have any insoluble residue.